India plans to identify its entire 1.2 billion population, including fingerprints, on a new and ambitious digital database. 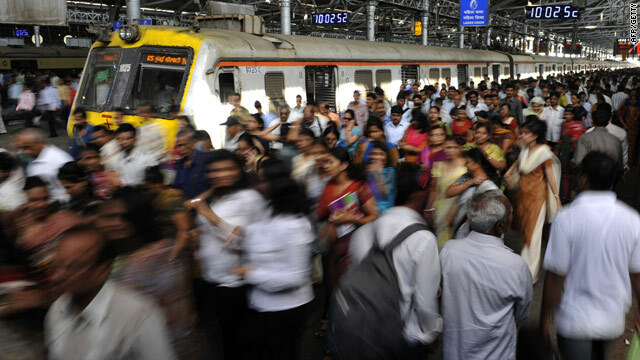 New Delhi, India (CNN) -- India is launching what could be its most ambitious national project next month when it will attempt to identify every member of its 1.2 billion population in a national survey. Starting on April 1 an army of 2 million data collectors will start the National Population Register (NPR), which will build a colossal digital database of fingerprints and other personal data, officials say. India held its first census in 1872, when it was under British rule. Since then, the exercise, which is carried out every ten years and is essentially a population headcount, has served as a primary source for a variety of statistics on the country's demography, literacy, migration, mortality, economy and culture. But the 2011 census will be different as it will be preceded by six months of data collection from the length and breadth of the country for an identity-based record, India's registrar-general C. Chandramouli told CNN. According to authorities, more than two million staff will be involved in the $820 million project. Officials insist the ID program was driven by concerns over national security and over rampant corruption undermining the government's anti-poverty efforts. The country has endured a number of financial scandals in recent years involving lawmakers, bureaucrats, corporate firms and stock markets, while corruption entrenched in government is seen as a major hurdle to the nation's rise. Last year, Transparency International ranked India 84th on its corruption perception index for 180 nations. Indian policy makers are aware the problem is pervasive and that its hurting the most disadvantaged the hardest. "There is a constant refrain in public discourse that much of what the government provides never reaches the intended beneficiaries," prime minister Manmohan Singh told anti-corruption officials last year. Indians depend on a number of documents to prove their identity, such as ration cards, voter IDs, driving licenses and income tax cards. Authorities insist that the NPR plan, which involves issuing universal ID cards to all residents by 2013, will help check embezzlement of government funds. The project, said Chandramouli, was originally envisaged almost a decade ago. But the terror attack on the Indian financial capital of Mumbai in 2008 led authorities to expedite it, with trials on for over a year now in more than 3,000 coastal villages of the country, he added. In India, illegal immigration from Bangladesh has been an issue of serious concern for over decades. Border guards of both neighboring nations have also set up an institutional framework to discuss illegitimate cross-border movements, according to India's external affairs ministry. For India, the new ID scheme can also be a potential means to detect illegal aliens living in the country. Authorities, however, accept reaching out to a billion-plus population of diverse cultures and ethnicities in varying terrains pose monumental challenges. Data from the country's 2001 census reveal that more than 70 percent of Indians live in villages. The country's homeless number nearly two million and more than one-third of the Indian population cannot read or write, according to census figures. Of India's 80 million tribal population, more than three million are primitive groups, official data show. Some aboriginal tribes live in isolation, away in forests or on hills. Indian authorities say the ID project is the first of its kind in the world with no model available to them to emulate. "Never before have we tried an exercise of that scale. In fact, nowhere in the world has a government tried to count, identify and issue identity cards to more than a billion people. This is the biggest exercise, I believe, since the humankind came into existence," federal home minister P. Chidambaram wrote on an NPR presentation ahead of the project launch. Planners foresee a rapid rural-to-urban transition ahead in India, Asia's third-largest economy, apparently because of vast employment opportunities in cities as compared to villages in impoverished regions. In the next two decades, the country's urban population is expected to double, prime minister Singh told urban policy-makers in December last year. India's massive informal economy or unorganized sector currently employs 94 percent of the nation's workforce, according to the labor ministry. Some analysts say a concrete database of residents can be used to ease burden on cities. "The poor benefit from informal systems of economy. My fear is that when there is a formal information of people in place, the state can use it to check economic migration from rural to urban areas," said Amitabh Kundu, Professor of economics at Jawaharlal Nehru University, New Delhi.